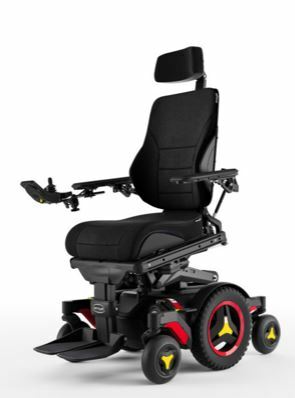 About six months ago, a mobility equipment company up the highway and my insurance company worked together to get me a new wheelchair. It’s quite a machine. My last wheelchair’s seat tilted back, which is a great feature that allows the user to distribute weight, as needed. My new chair tilts as well. 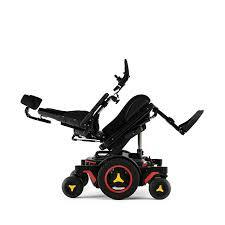 It also reclines….and lifts the footplate up to elevate my feet, which helps with circulation. AND, it actually hydraulically elevates up to a foot in height! Working together, all of those features allow a multitude of configurations for positioning my body. 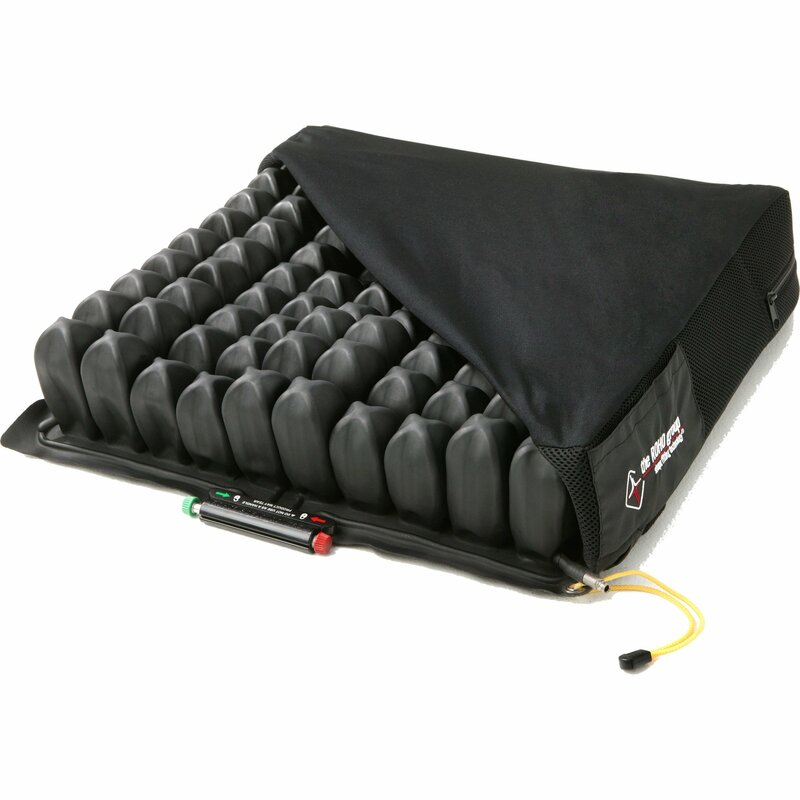 I also have a specialty Roho cushion with air chambers that can be adjusted for posture and comfort. In the world of wheelchairs, mine is a luxury model. Wheelchairs and I have a love-hate relationship. I hate that I need one, but I love that they are available to me. Without a wheelchair, I would go nowhere. 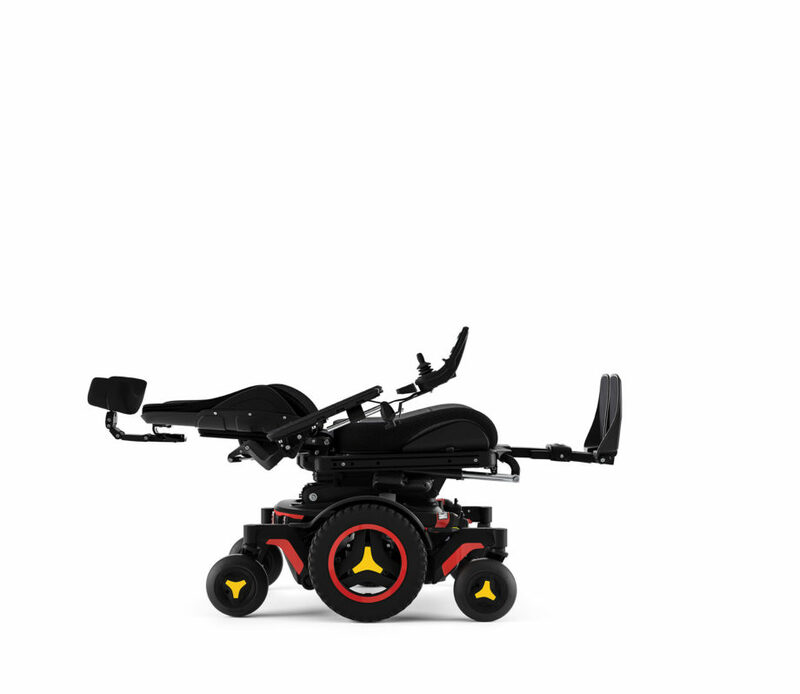 With an electric wheelchair, I have not only mobility, but am allowed independence and comfort. In the perspective of our world, having the kind of wheelchair I do makes me feel spoiled. While I am grateful for good insurance and today’s technology, there are daily annoyances when using it. Wheelchairs are big, especially mine. When I was a walkin’ woman, I stood at 5’ 11”. Aside from some awkward preteen years, I embraced and enjoyed my height. In a wheelchair, however, my height actually works against me. My long limbs and torso require a deeper, wider and taller wheelchair than a shorter person would. In a room of standing people, I estimate that the size of my wheelchair takes the space of three people; so when I’m in my chair in public, I feel big and always in the way. Even if I’m not in it, it takes up space. Wheelchairs make noises. The click, click, click of its starting and stopping is loud and repetitive. Whenever I reposition, there is a whirring sound. It rattles, and creaks, and squeaks….let’s just say you can hear me coming. Wheelchairs require maintenance. Care must be given to adjusting or replacing parts. It should be dusted and/or washed regularly. Batteries must be monitored and charged. Wheelchairs have different movement speed options. Attention must be given to being on the right setting before moving. Steering is important and driving a wheelchair takes practice. Bumping into walls and corners should be avoided. 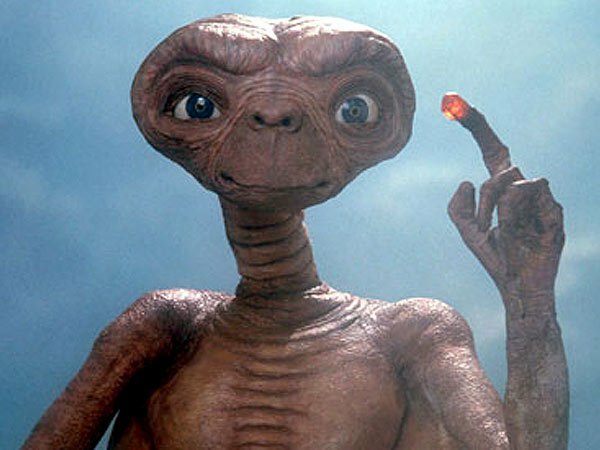 Headrests, no matter what shape and size, always give the appearance of ET’s head. The varied terrain under the wheels can mean a smooth and pleasant or bumpy and scary ride. All of these irritations can add up over time. When I am on my chair, I am thankful for its comfort. Transferring in and out of it is becoming more difficult. I do, at times, send Mr. Legs on his way without me and let him know by text when I am safely back in my chair. One day, in an effort to be lighthearted, I texted that I was “back on the saddle”. And as I typed it on my phone, I liked the sound of it and the image it gave. I decided that riding a horse was a lot more appealing than riding in a wheelchair. 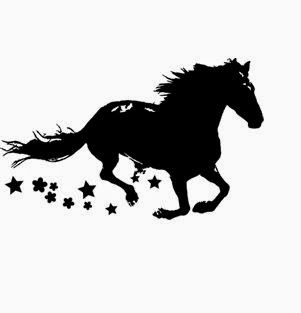 I mean, haven’t most girls, at some point in their lives, at least imagined galloping through a field on a beautiful mare or stallion? Horses are a lot like wheelchairs. Horses are big. You have to have space for one, whether you’re using it or not. Horses make noises. Their hooves thump on the ground or click on the pavement. They chomp at the bit and neigh. Horses require maintenance. They must be fed, watered, shoed, and cleaned up after. Grooming and exercise are important. Horses have different movement speeds. 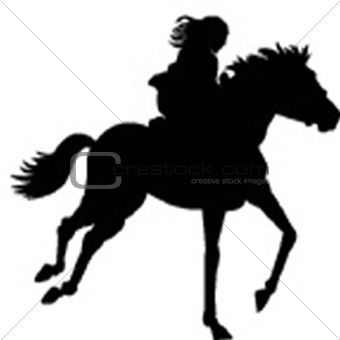 Low speed is a walk, faster is a trot….a canter even faster. Moving over rough ground feels like a gallop, high speed like a race. Uneven pavement is like jumping a fence. Transferring onto a wheelchair can feel like mounting a horse. Horses must be given proper commands. Steering is important and riding a horse takes practice. Riding on a horse can be bumpy. Yes, there are similarities. Riding a horse sounds and seems nicer though, even romantic. And so, when the annoyances of my wheelchair start to bother me, I will try to think that I am actually riding a horse. It might make needing a wheelchair a little more appealing if I view it as a companion with a name and personality. 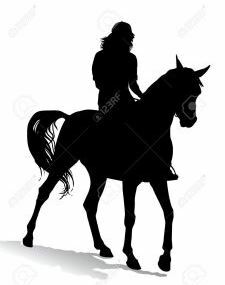 Yes, in my imagination, I will be riding a horse….and I shall call her Trixie! 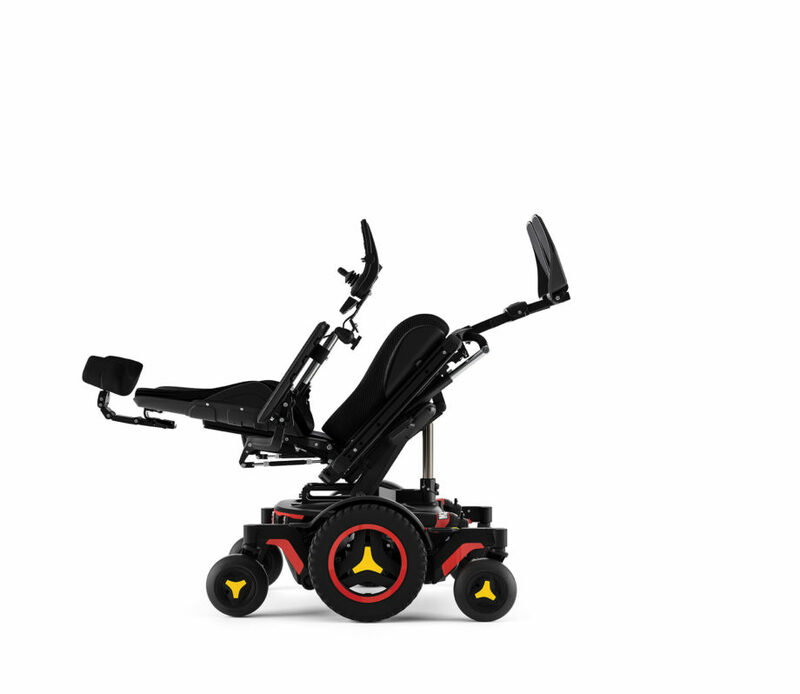 This entry was posted in Mobility Equipment and tagged chair, cushion, eleectric, elevate, features, horse, MS, multiple, noise, recline, riding, sclerosis, tilt, wheelchair, wheels. Bookmark the permalink. Charging the battery and cleaning it are similar though. I am certainly glad I don’t have to deal with “waste”. Your post today reminded me of a time long ago. When in my teens a friend and I would exercise Quarter Horses that my friends relative raised. They were a lot of fun to ride and let then run. What a great memory. A running horse is a thing of beauty.